You look so cute all dressed up! PAWs is a great organization, I wrote about them many, many years ago so I’m glad to read that they are still doing their wonderful work. Will have to check out that brand of CBD oil for my cats. 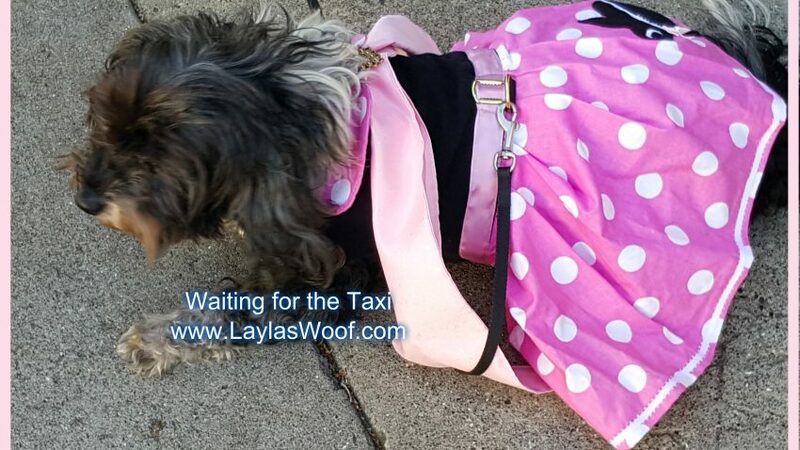 How fun that you attended a fundraising event those are always fun and I see that you rocked that pretty pink dress. So glad Phyllo is back home safe and sound! I bet that party was amazing too. Oh wow what a busy post and, yes, I think this Treatibles stuff may be just what the ‘doctor’ ordered to keep a doggy (and cat, thank you Layla!) from getter overwhelmed. Natural products have so much to teach us humans! Sounds like you’ve been busy! I also adore the effects CBD oil has for my dogs. Sourcing is the biggest challenge. Finding quality. Thanks for the post! I’m going to look into treatibles! The dress is smashing, what a pretty color. I bet Layla was the hit of the ball! Can’t wait to see the pictures of the pig encounter, too, BOL! As always Layla you’re busier than I am!! You never struck me as the dress wearing type of dog but of course you looked adorable!! You’re lucky your mom thinks a few steps ahead, because it was very clever of her to bring your bag and cbd oil in case the festivities got to be too much. Thanks for sharing your hectic social life with us, I look forward to it every week. I’ve had to do a lot of peep supervisin’ this week, too. TALK ABOUT EXHAUSTIN’! Boy-oh-boy, that first of peep is worse than an toddler on wheels. Everywhere I turn, she’s there, makin’ a mess. “Gardenin’,” she says. Yeah. Right. Gardenin’, my tail. I’m tellin’ ya, it’s gonna take me all summer long to supervise her cleanin’ this yard up. MOUSES! 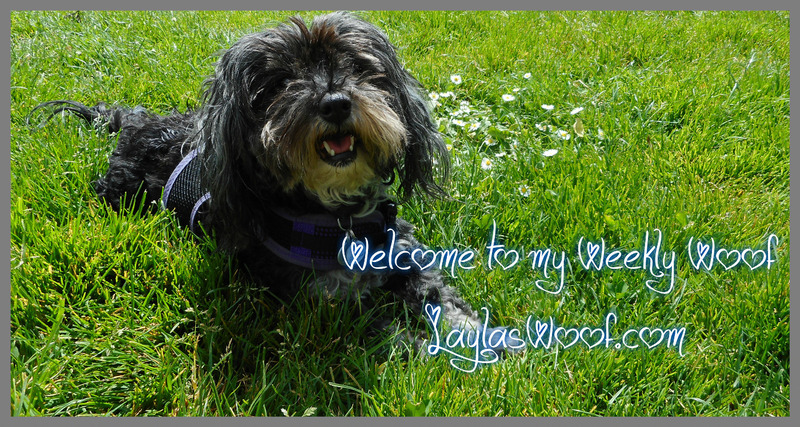 Layla, you look so pretty! 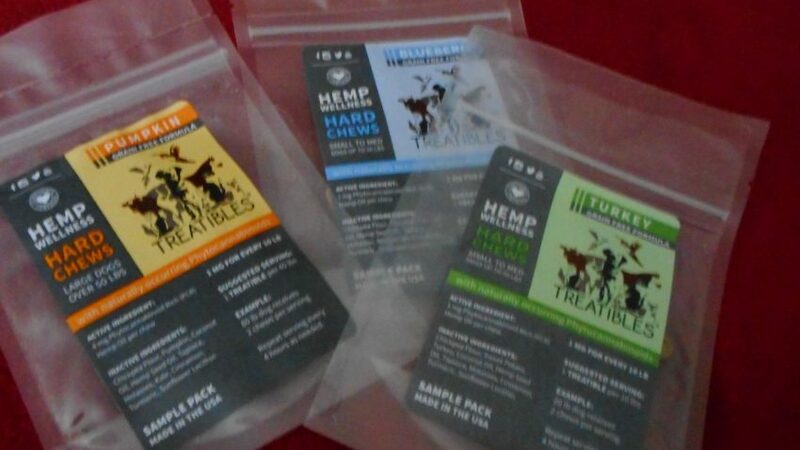 We’ve heard a lot of good things about Treatibles and CBD oil. Unfortunately, our mom won’t be making San Francisco on this trip of cat cafes. That would be so cool if she met you, though! 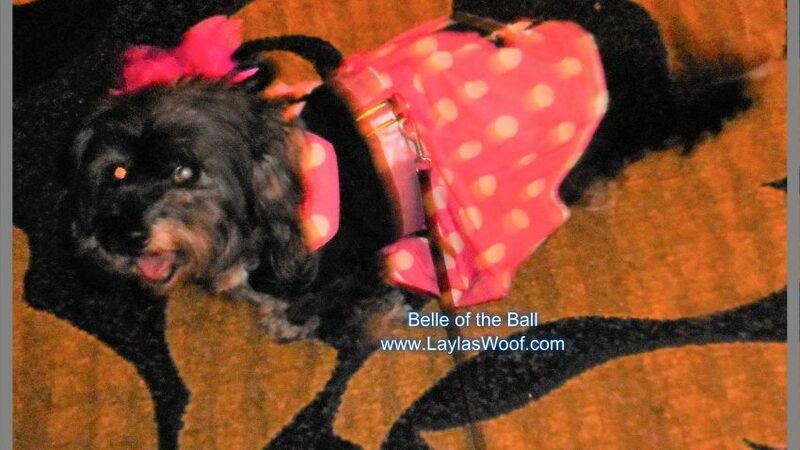 Layla looks so cute in her fancy dress! It sounds like you really thought things out ahead of time. I’m glad that the CBD oil worked so well and Layla was able to relax so you could both enjoy the evening! The Fairmont Hotel is very fancy! When I lived in SF (briefly), I went to a party there and enjoyed it immensely. Great food and atmosphere. I was not required to get overly dressed up, though, which was nice. I’m glad the CBD oil helped relax Layla so everyone could enjoy the festivities! I’m glad you prepared by bringing a crate and CBD oil. I have the Treatables treats that I used to give Chipper for thunderstorms and fireworks. They work great! PAWS sounds like a wonderful organization! We’ve read about Treatibles and have wondered if they would help our grandma’s dog. YOu looked adorable in that dress. 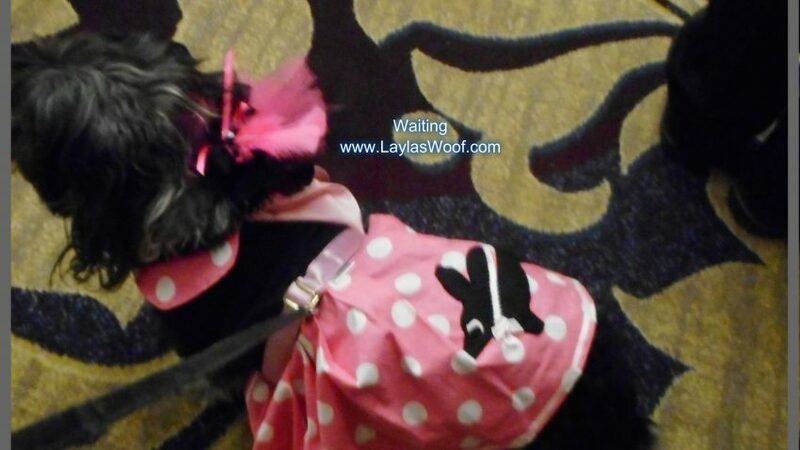 Aww Layla you look so cute in your pretty dress. What a great cause to be a part of. I’m glad Treatibles works great for you and they are also helpful for cats too. Public socializing and events can be stressful. Both of these events look like they were so much fun! I’m so happy Phyllo was reunited with his family! What a blessing and cause for celebration! I’ve heard great things about Treatibles, though I’ve not tried them with Sulley and Junior. What a great event and you looked furbulous! 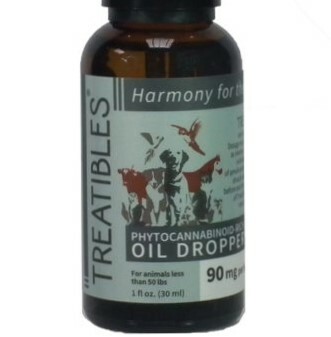 I am an affiliate for Treatibles and LOVE them! If you want to order more, you can save 10% with my code: BFTB ♥ Thanks for Pet Parading with us.